Finance Department is responsible for multiple tasks, including preparation of estimates of the annual budgets for expenses of the Cultural Attaché Office (CAO) and student’s accounts, keeping the related expenses records, and completion of all financial transactions for the office and students matters. Every mid-month, the academic advisers communicate with the universities to ensure students’ presence. Then they submit to the financial department a list of students who are currently attending classes (active), and those who are on vacations determined by the university in order to transfer the students’ allowances. The financial department prepares a list of the students who are active and communicate with CIMB Bank to take the necessary process to transfer the students’ monthly allowances during the period from 20-25 of every month. It takes only one day to transfer from the CAO bank account to CIMB bank account holders, and three working days for those who have other bank accounts. 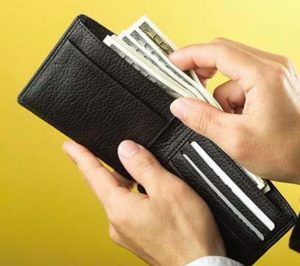 The time frame for receiving the monthly allowance is from 20-25 of each month. The student’s allowance shall be suspended if he/she is not active, or the academic department has academic negative report about the student, or if the student’s in the electronic system of the Ministry of Higher Education is terminated. The student must apply for a sponsorship extension request with follow up and coordination with the academic department in the CAO. If the student’s monthly allowance is delayed after the date of 25th of the month, please contact the CAO at info@om-cao.com so we can follow up with the bank. We would like to clarify that the student’s monthly allowance is paid in advance (for example, the April allowance is transferred at the end of March and so on). During period of summer vacation or internship specified by the university, students may apply to receive their monthly allowance in advance only once during one year. Send an email application to the CAO at: info@om-cao.com requesting the monthly allowance in advance with the student’s full name, university name, and reasons for the request. The CAO shall notify the student of receiving the request, and forward it to the finance department. The finance department shall send the Leave and Advance Monthly Allowance Form to the student by email. The student’s vacation or internship period mentioned in the request form shall be verified with the university in coordination with the academic department. The CAO (finance department) communicates with the CIMB Bank to take the necessary action to transfer the due monthly allowance to the student. The time frame for receiving the advance monthly allowance takes only 3 working days (not including public holidays) from the date of receiving the filled form and supporting documents, and confirmation by the university of the period of vacation or internship. It is an additional amount of money paid to the sponsored students specified to buy books, equipment, and clothes for every beginning of an academic year, which is usually transferred in the month of September for each year. It is an amount of money paid to the sponsored students for the sake of preparation of the required researches and final year graduation project. It is paid only once during the scholarship period. It is an amount of money paid to the sponsored students to assist in paying the overweight charges during the final year of study to take luggage from Malaysia to the Sultanate of Oman at the end of the scholarship study period. All the above-mentioned scholarship allowances are transferred by the CAO to the sponsored student’s own bank account exclusively. The student must notify the CAO in case of changing the bank account, or any related issues in the bank account. The sponsored student must also maintain own bank account open and active until all scholarship allowances are paid.